There's a reason why they call it a squawkbox. For years, users on audio-only conference calls have weathered annoying background noise, unexpected interruptions, and other problems. Dolby, whose name has become synonymous with high-quality audio, hopes to solve these with a new conferencing system. Dolby announced the Dolby Voice Conference Phone, a $1,600 unit that, for now, will be the only device to incorporate its Dolby Voice technology to minimize some of the audio issues. 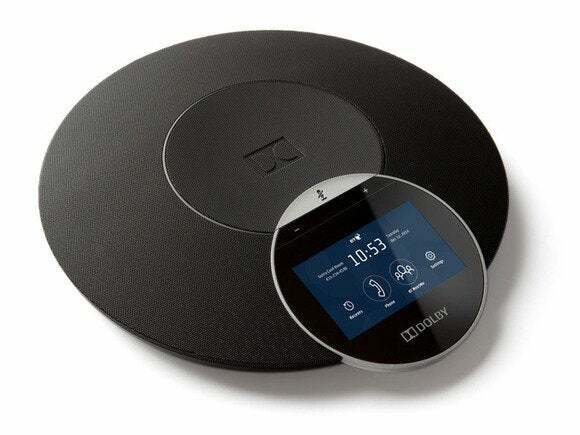 Last fall, British Telecom (BT) launched a BT MeetMe system with Dolby Vocie for PCs and smartphones, and will add the Dolby Conference Phone this fall. A closeup of Dolby's Voice Conference Phone. Dolby launched Dolby Voice last fall. A study the company commissioned showed that the technology was more effective than conventional calls at allowing users to hear and distinguish among words. "Otherwise, you get situations where people drone on and on," said Mike Fratesi, the director of integrated marketing at Dolby, in an interview. "You lose a lot of the subtle cues that take place in a face-to-face meeting," Fratesi said. Essentially, the Dolby phone serves an an endpoint for the BT MeetMe system, but also connects to IP systems like the Cisco Unified Communications Manager. The conference phone weighs 3 pounds, and it includes a 4.3 in., 480-by-272-pixel LCD for setting up calls. What makes the Conference Phone special, according to Dolby, is that the system virtualizes the participant voice, projecting each voice in a separate virtual space around the table, so that users get a better idea of who's speaking. Otherwise, the audio capabilities include wideband HD audio (160 Hz to 14 kHz), a 20-foot mic pickup range, 360-degree audio capture, plus the expected full-duplex capability, with noise suppression and full echo cancellation. 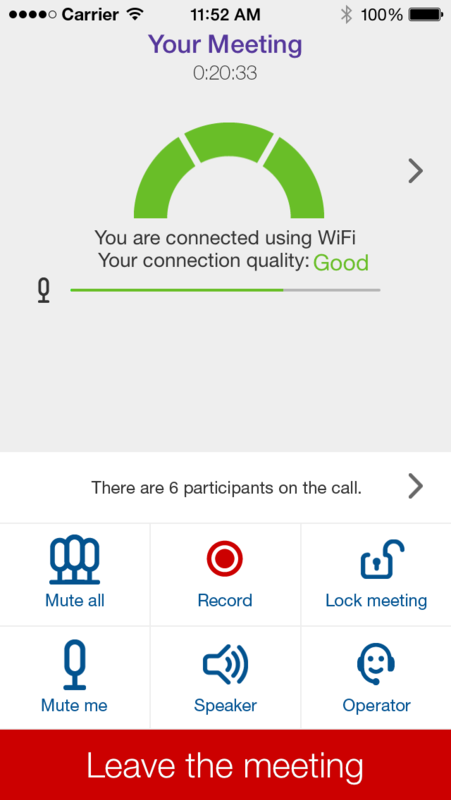 The BT MeetMe with Dolby Voice mobile app for both the iPhone and Android platforms, moreover, allows users simply to "tap in" to a call, without the need to dial in with a PIN or other identification. The app also applies the Dolby Voice technologies to the mobile call, including ambient noise filtering and volume leveling. BT's technology will be undergoing live customer trials in the next few weeks, executives said. 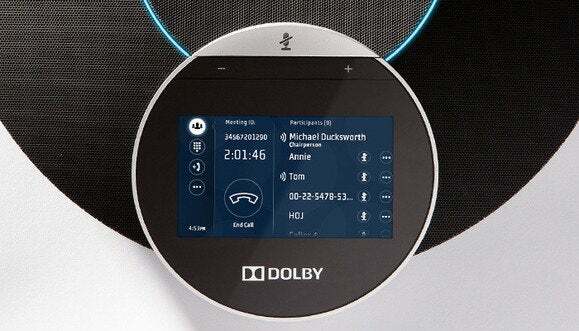 "The Dolby Voice Conference Phone gives workers a full picture of what is happening on a conference call," Andrew Border, vice president of the Dolby Communications division, said. "Everyone knows who is speaking and understands what is being said." Of course, vendors like Skype and others would argue that a videoconference would give the truest picture of what's being said on a call. But for now, streamlining the experience of dialing in to a call from a mobile phone is something that can never be improved too much. Correction: This story was updated at 4:24 PM on March 19 to correct details of the BT MeetMe implementation, as well as to correct how the Dolby Voice Phone connects to MeetMe and other IP systems.